Park Ridge Health, of Hendersonville, NC, is a vast health system dedicated to providing the best health services in the region. For over 100 years they have served patients in Western North Carolina. 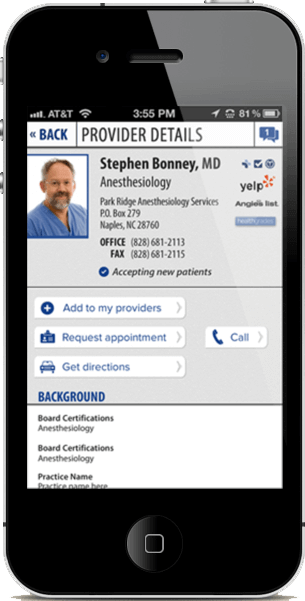 A directory that brings ParkRidgeHealth’s system of physicians into the digital realm. Quick and easy updating of all physician information from the Drupal CMS. Android & iPhone Apps that automatically pull information directly from the website. 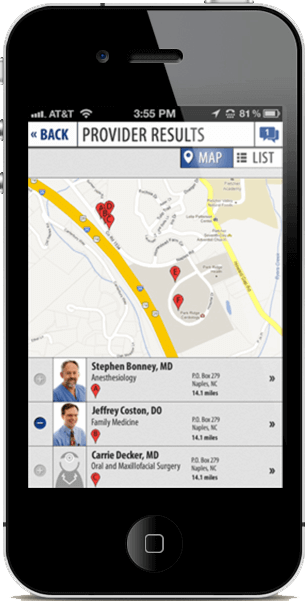 Location services that allow the directory to be displayed through map and list views. Link Directory with social media for improved networking and client confidence. Complimentary directory design to fit the overall ParkRidgeHealth branding and aesthetic.